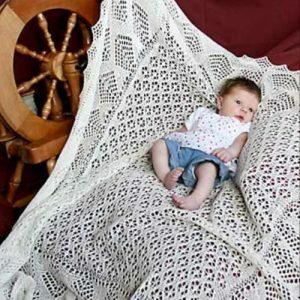 Traditional Baby Shawl with plain centre, Hand Knitted in the knitters own home from 100% lambswool 2 ply lace. 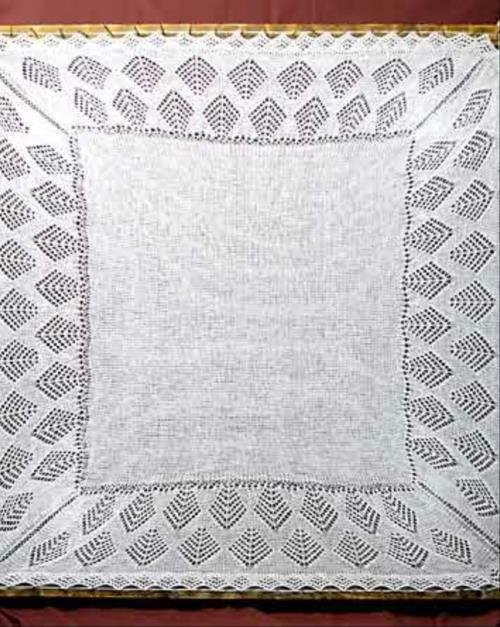 Patterns will vary due to the knitters preference but size and quality remain the same. Approx. 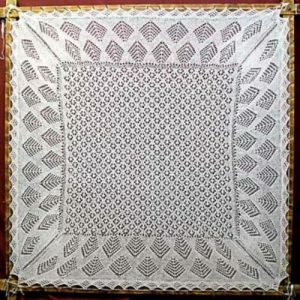 52″ x 52″.